PANDA MAMI is a critically acclaimed restaurant group that rivals high end buffet restaurants more commonly found in 5 star hotels, and popular in the Far East. The first Panda Mami restaurant opens in Chester in November 2016. The Group has ambitious plans for continuous growth and expansion. With more than 30 further restaurants planned for 2017 and beyond, the PANDA MAMI Group will serve thousands of customers every day in the future and aims to be one of the best restaurant groups in the UK. At Panda Mami, you will find delicious international food to excite your senses. We invite you to take a gastronomic journey through different countries and cultures, so you can discover the most authentic flavours of the world. As with Eastern philosophy, everything at Panda Mami is interlinked. Guests are at the centre of Panda Mami; everything we do is designed to surpass expectations and maintain loyalty, which is why we are constantly striving to improve everything we do and to develop new ways of serving you. Panda Mami is the first buffet restaurant to provide a delivery service so you can enjoy our delicious international food at home. Order online, relax on your sofa and wait for it to be brought to you! Our chefs prepare over 120 authentic dishes from around the world every day and each dish is expertly created in small amounts to ensure they are always fresh. 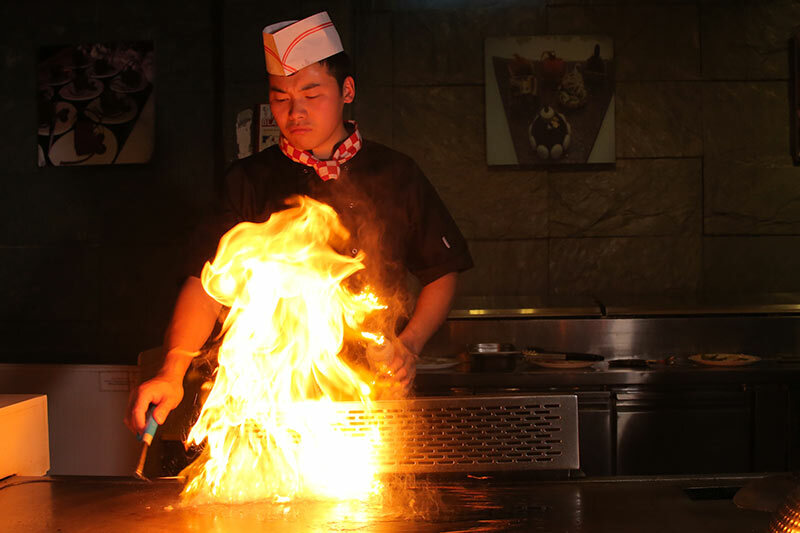 Our Live Cooking Stations provide fabulous entertainment and aromas while the dishes are cooked in front of you. We provide a casual dining experience like no other, offering a balanced choice of delicious food and exceptional value for money, giving our guests added value at one set price, all within luxurious surroundings. This is the pinnacle of casual dining. Welcome to Panda Mami, where your gastronomic journey begins. Panda Mami is a restaurant chain. In November 2016, our first restaurant opens in Chester. This can serve 250 customers and is open for lunch and dinner 7 days a week. We also provide a delivery service and customers can place orders from our website. From 2017, we will start to build the restaurant chain with this new model of buffet restaurant and delivery service around Manchester. We plan to build 30 medium size restaurants (for 150-250 customers) over the next five years.